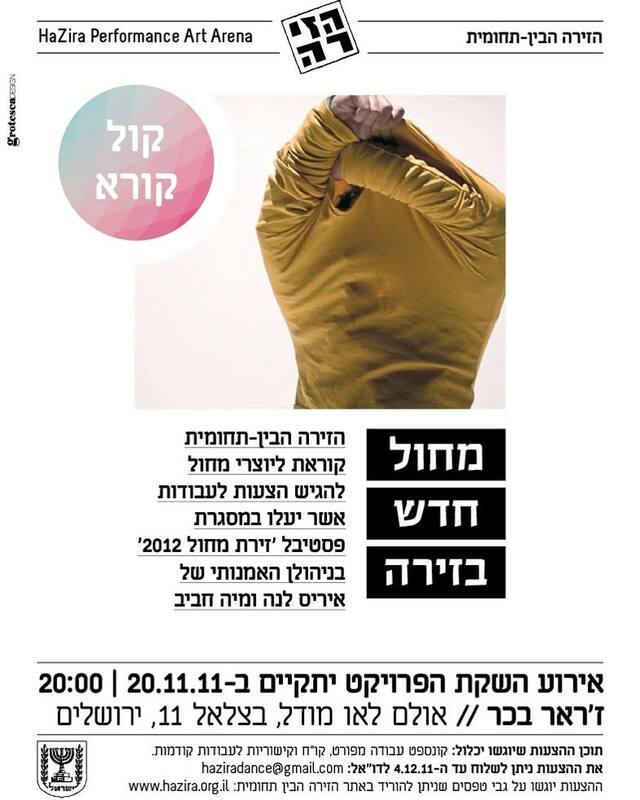 “The New Dance Project 2012” (Machol Hadash) / Jerusalem 2012. In 2012 Mia Habib was the curator, mentor and artistic director together with Iris Lana of “The New Dance Project 2012” (Machol Hadash) and “The Dance Arena festival” (Zirat Machol) at HaZira in Jerusalem. The project is designed to be a fertile environment for emerging artists in the field of dance, to grow and develop. ‘New Dance Project’ (NDP) is designed to be a fertile environment for emerging artists in the field of dance, to grow and develop. While developing their own works, its participants are enjoying mentoring, production assistance, financial support, workshops led by choreographers and theorists from Israel and abroad, besides the opportunity to participate in a new discourse between dance makers. The project, 2012, was under the artistic supervision of the choreographers Mia Habib and Iris Lana. The NDP sees a great importance in introducing the local artists to different artistic practices and other research–based platforms around the world. In 2012, the participants of the project were offered the opportunity to work with various international and local dance makers such as Peter Pleyer (GER), Ehud Darash (GER/ IL) and Sirah Foighel Brutmann & Eitan Efrat (IL). 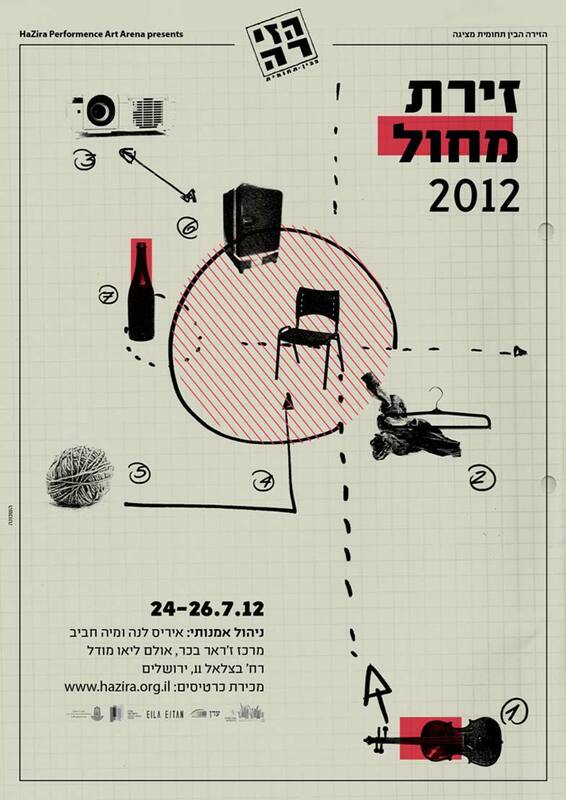 The process started in end January, 2012, and continued till the performances were presented at our festival in Jerusalem July 24 – 26 2012. During the festival NDP hosted talks, panels, workshops, works from similar performance platforms abroad and served as a space to develop the discourse around dance in Israel. Schutzen, Cecilie Ullerup Schmidt (DK/ GER).